This piece on dog friendly gardens was written by freelance contributor Sally Perkins. Did you know that since 1990, 60% of new houses are built in areas that are close to natural environments? This means that wild animals might mistake these new backyards as a part of their territory — after all, it likely was a part of their hunting grounds before the house went in. These five fast facts will give you a picture of how wildlife interacts with our backyards, and what we can do about it. Experts estimate that over 1,300 children in the US get bitten by snakes each year. These numbers have been rising over the past several years. Dr. Robert Glatter, a doctor in New York City, says that the rise in bites is connected the expansion of housing developments. 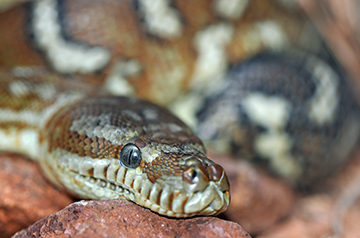 Glatter says it this way: “With extensive urbanization and encroachment of housing developments into the natural habitats of snakes and other reptiles, children playing outdoors are at greater risk for encountering a snake and consequently suffering a snakebite.”. Did you know that there are five different kinds of foxes in the US? These include the kit fox, red fox, arctic fox, grey fox, and island fox. These animals are omnivores, meaning that they hunt for small prey, such as rabbits, and also eat vegetation. Small animals, less than 5 lbs, are at risk of being killed by foxes. Home owners should pressure wash exterior areas such as fences, outer walls and sheds to remove any debris that foxes might be attracted to. Coyotes are small animals that are not usually identified as a threat to humans. However, the pattern in recent years is that attacks on humans, especially small children, is becoming more frequent. Coyotes in the Northeast are sometimes called Coywolves because they are wolf hybrids. Statistics show that in the early months of 2017, pest control was on the nation’s mind. 6.32 million Americans reported that they were planning on calling pest control help for their households over the next year. Alligators are common in Florida. These large animals can move quickly and have been known to bite humans. Fences deter alligators so that you don’t have to worry about encountering one when you step into the backyard. Pests come in all shapes, and yard hygiene can help you keep them all out — from slithering snakes to surprisingly aggressive coyotes. Wild animals can be exciting to observe, but they can also be dangerous. They could present a threat to your, your family, and your pets. One important aspect of animal control is a secure, sturdy fence around the yard.